Don't feel bad however, for this ballpark. It's quite surprising that it lasted until 2001 in the New York Penn League. 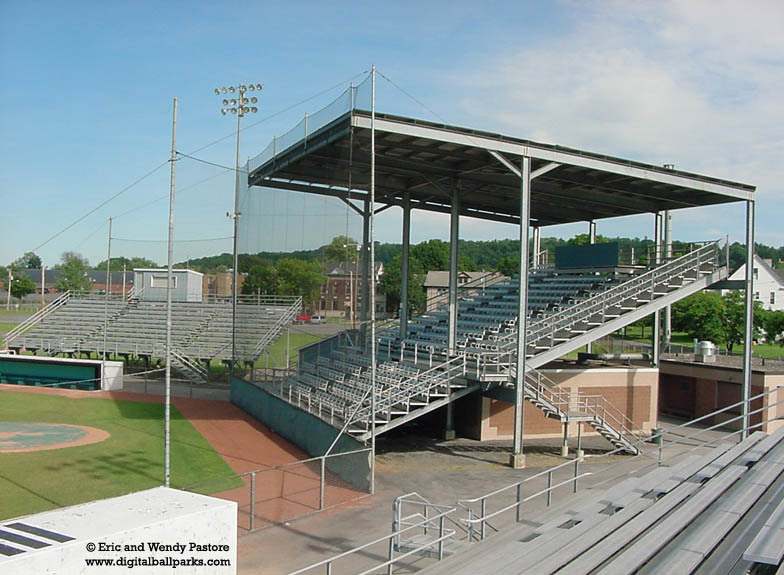 Fact is... it's an aluminum ballpark, made of cold steel girders, and metalic bleachers. Doesn't exactly give you that warm and fuzzy feeling inside.